It's that pumpkin picking time of year again! Look at all those pinkish and aqua pumpkins.. Don't you just love this time of the year! 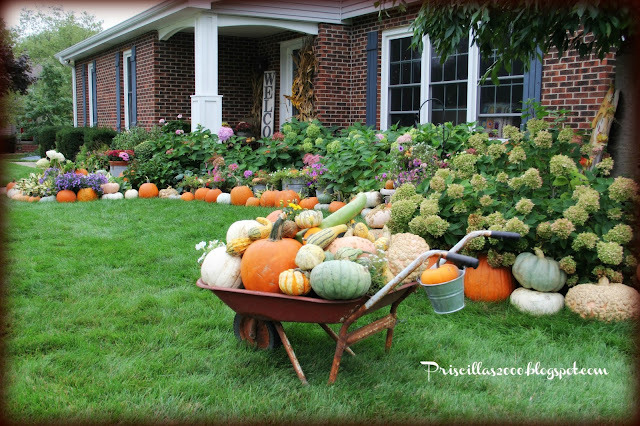 I came home with 109 pumpkins and a bunch of gourds..
My front flower bed is lined with all the pumpkins.. there are some on the porch and in the vintage wheelbarrow and rusty wagon..
a galvanized tub that I filled up with empty pots upside down so it looked like a full tub of gourds but they are just sitting on the top.. pumpkins and gourds got added to all the flower pots.. I just mowed the lawn yesterday and it already looks too long in these photos.. I have been mowing twice a week and we haven't really been having that much rain ! 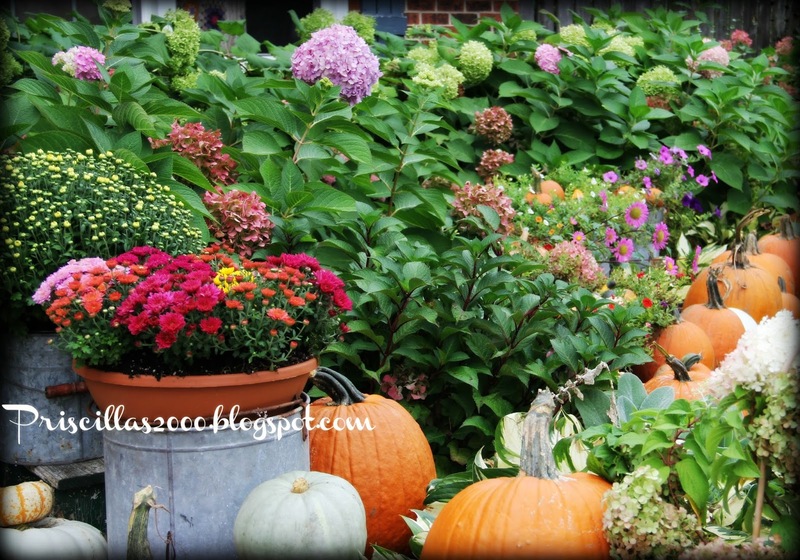 I will be back soon to show you more of the Fall front porch! WOW!!! I've thought of adding a border of pumpkins to my yard but I think it would be kinda pricey... do you get a deal on buying this many pumpkins? I did find a local garden place that charges only $1 for a pie pumpkin but the bigger ones are $5 and up.Thanks for sharing! Just beautiful!! 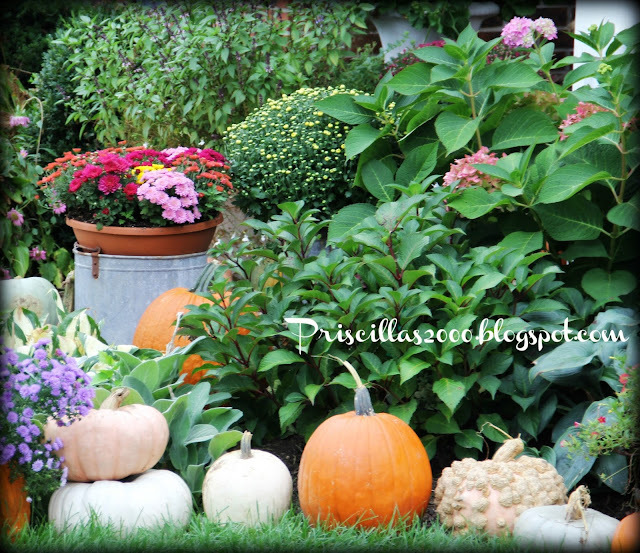 I was looking forward to seeing your pumpkins again this fall. Lovely! 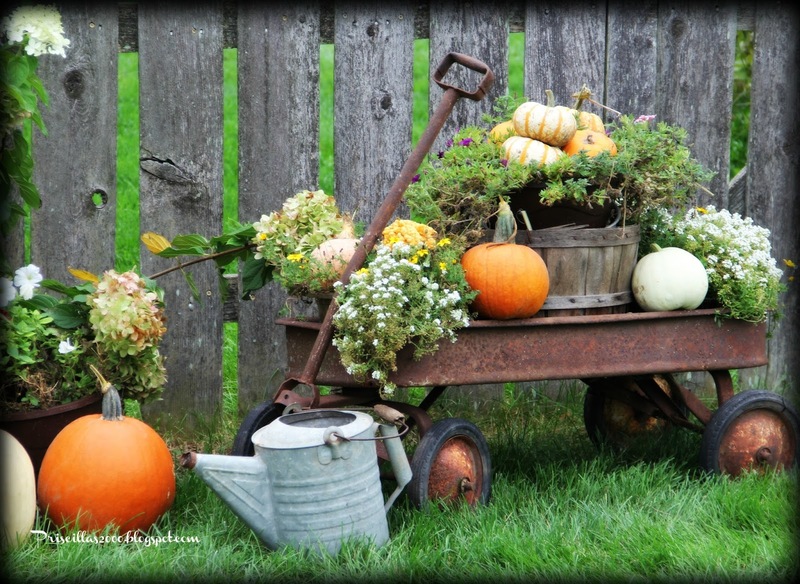 Sure wish I could do a display like yours, but I don't know of any place around here that sells pumpkins by the carload. Usually I have just 2 or 3 on the front walk. Beautiful! 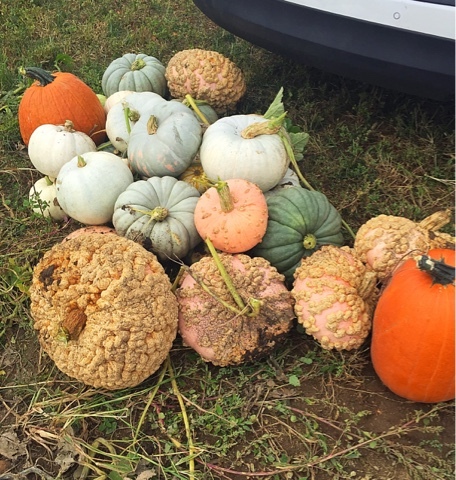 Down here in SE TX, we could never do anything like that because the pumpkins would rot pretty quickly in the heat/humidity. I love looking at your display! Just fantastic! I always enjoy seeing your pumpkins! I wish we had a farm that would sell them by the car load. Oh WOW WOW WOW - it is amazing and I love it! 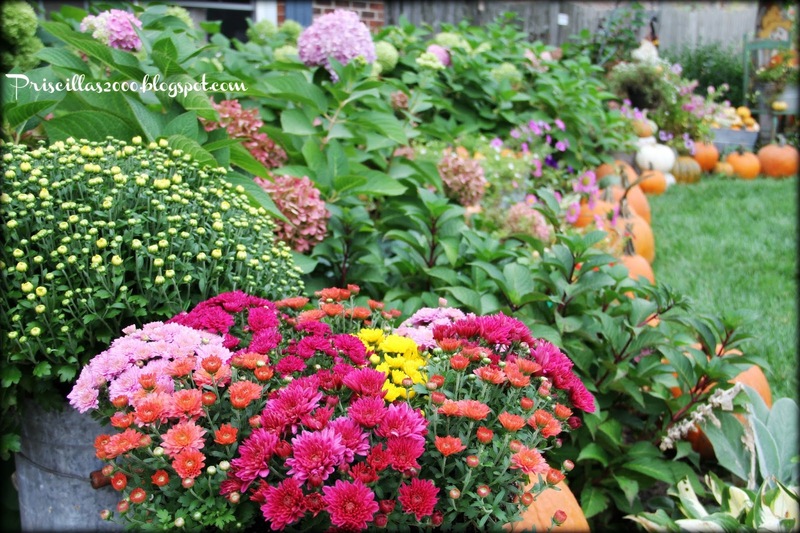 Your yard must be the best on the whole street. Everything looks terrific. Wish I could find a farm that sells them like that. Medium ones are $4.95 at Walmart. So I won't be getting to many. 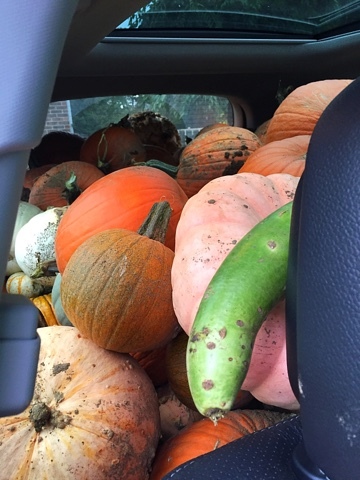 I wondered how you purchased or grew so many pumpkins...do they charge more for a mini-van, lol. 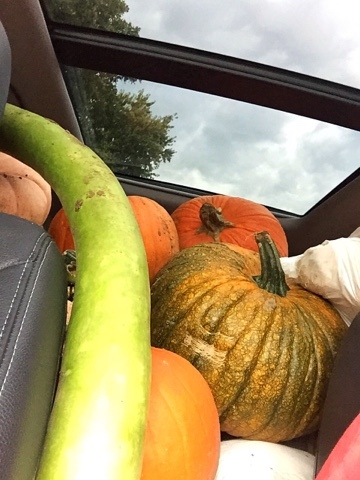 Can you share the name of the farm you get the car load of pumpkins? Have left my follow up email. Your home looks so pretty as always. Love the bumpie pumpkins and all the different varieties. Thanks for your beautiful posting. 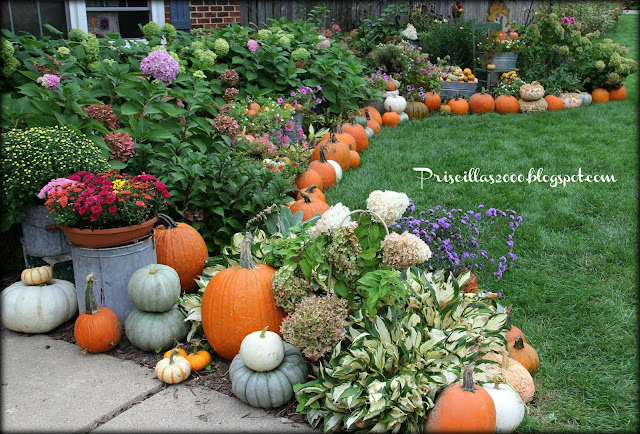 Waiting also to see how you are going to display Judith Kirby's Halloween houses #9 and #15. 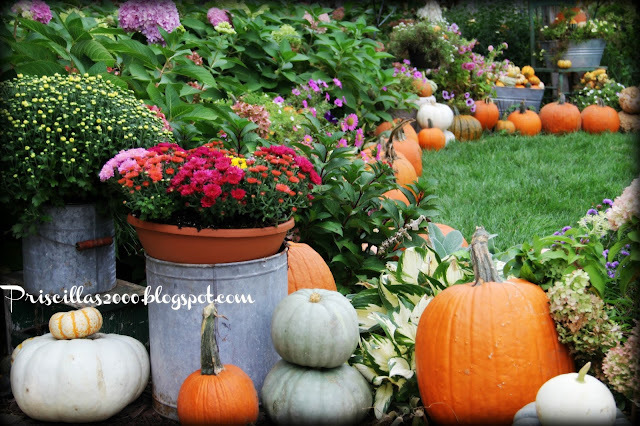 I look forward to seeing all of your pumpkins every year! I love it! 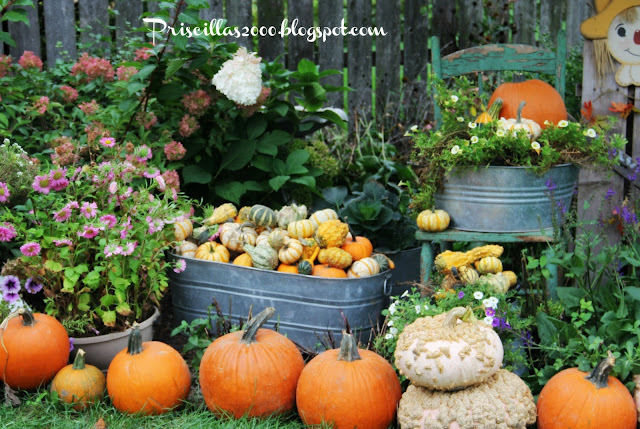 I am always amazed at the amount of pumpkins you buy for the season!! They always look FANTASTIC! !